100% colour accuracy for 43% less money. All digital artists and graphic designers will know how vital it is to have complete colour accuracy on your machine. The best monitor calibrators don't come cheap, which is why this Black Friday 2018 deal is such a great find. 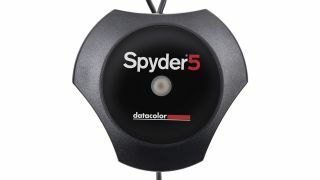 DataColour has slashed the prices of its Spyder5 range, and they're flying off the shelves. This deal is so popular that that Spyder5PRO has already sold out, but fear not: you can still grab a Spyder5ELITE with a whopping £97 (130€) off. This calibrator offers expert colour accuracy, with room light monitoring and unlimited settings for gamma, white point and advanced grey balancing enabling you to take complete control of your colour workflow. It work on laptops, desktops and projectors, too. Save £97: Pick up this monitor calibrator with over 40% off the usual price in this amazing Black Friday deal from DataColour. This deal won't be around for long! Please note, the online store price is in Euros, so the GBP value may fluctuate slightly depending on the exchange rate. On the hunt for some more top deals for artists and designers? Take a look at our pick of the best UK Black Friday gems (or, for those of you across the pond, US hidden gems).